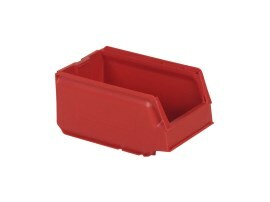 Plastic storage bins can be identified from the grab opening in one of the side walls. 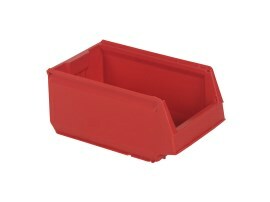 The grab opening is located on a short or a long side of the bin. In this way the parts can easily be taken out. In addition you can see in an instant what it contains. Storage bins are available with closed walls, with perforated walls, in Euronorm dimensions, in different sizes and with ESD protection. A warehouse can be organised in many ways. 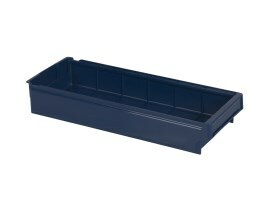 Our parts bins for example are extremely suitable for shelving systems, paternoster systems and racking systems. 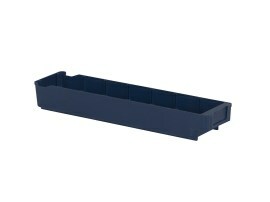 The modular bins are often used in modular storage systems. 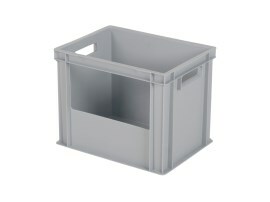 The modular bins are in fact of the same height and width as one another. This makes them easy to combine. 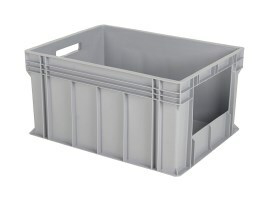 Store Boxes however have different height, breadth and length dimensions. 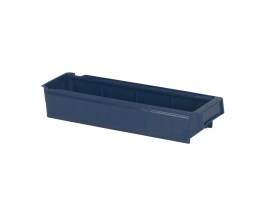 In addition we also supply Euronorm storage bins. 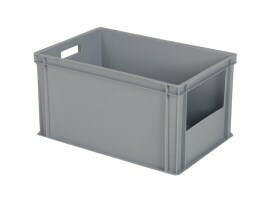 A storage system with these bins can easily be extended due to the modular dimensions and gives an optimum space saving. 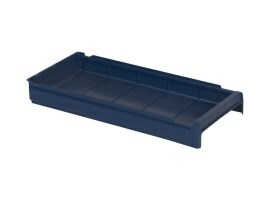 You can also move Euronorm storage bins effortlessly and ergonomically on standard wheeled trolleys. 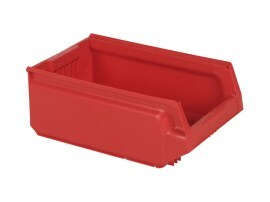 More information about plastic storage bins? 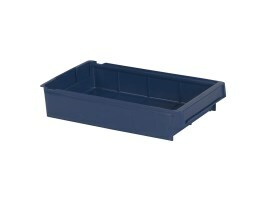 Would you like more information about our storage bins? Contact us, we will be pleased to assist you!